Heat oven to 400°F. 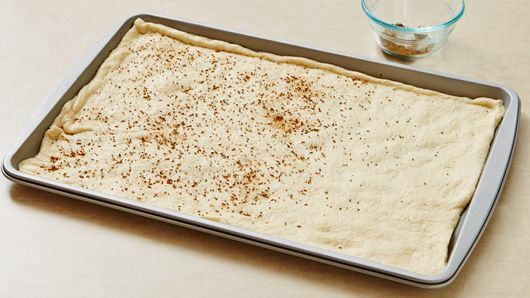 Unroll dough in ungreased 15x10-inch nonstick pan with sides. Starting at center, press out dough to edges of pan. Sprinkle caraway seed over dough; press gently into crust. Bake 6 to 7 minutes or until edges of crust begin to turn light golden brown. 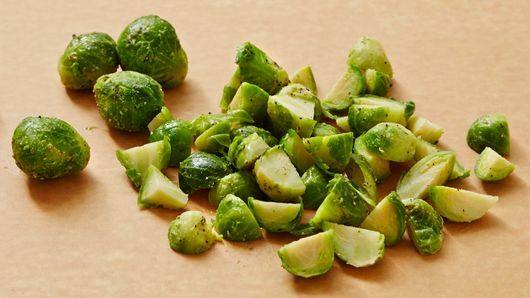 Meanwhile, microwave frozen Brussels sprouts as directed on package. Drain; coarsely chop. 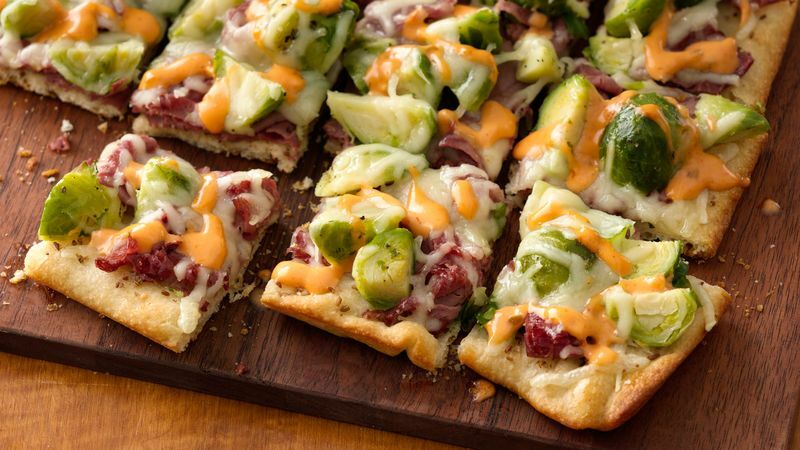 Top partially baked crust with corned beef, Brussels sprouts and cheese. Bake an additional 7 to 10 minutes or until cheese is melted. 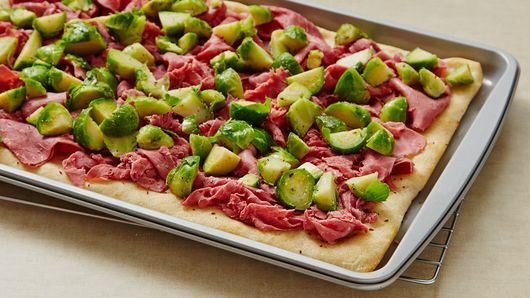 Cut into 6 rows by 4 rows; drizzle with dressing.